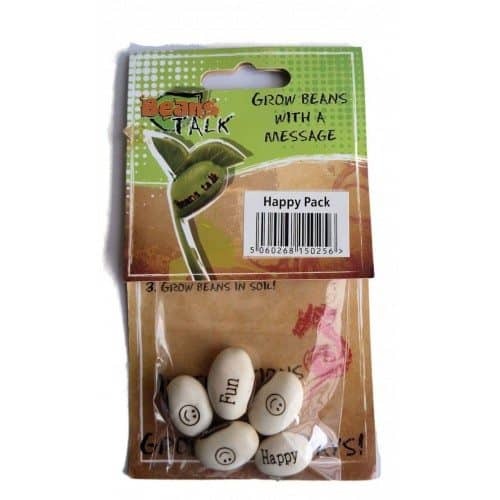 Themed beans come in a pack of 5 with different messages on them! 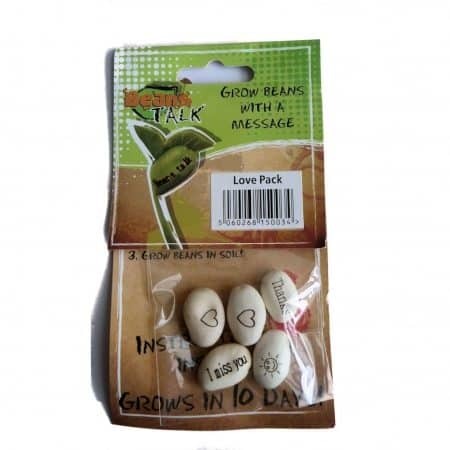 BeansTalk Beans Pack containing 5 magical beans with messages and pictures laser etched into them which will continue to enlarge as the beans grow. 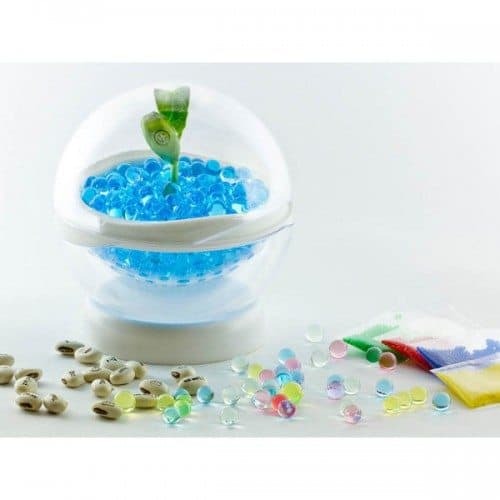 Just plant the seeds into the water beads (or soil) and less than two weeks later, everyone will be astonished by the special messages that grows with the plant! 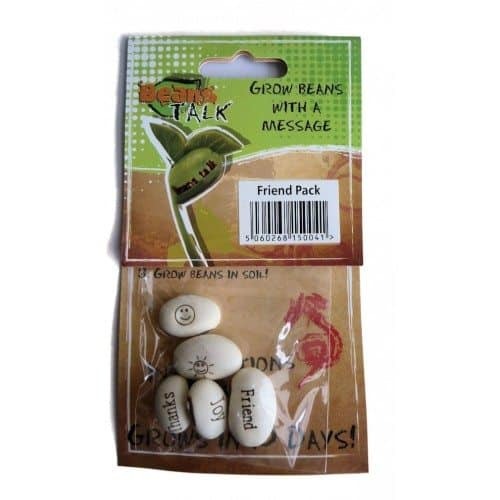 Beanstalk beans are an ideal gift for any occasion. Birthday Beans: Happy Birthday; Best Wishes; Surprise; Congrats; Happy Birthday. 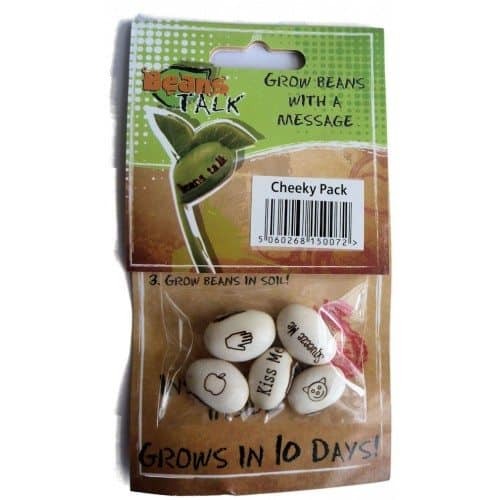 Friends Beans: Friend; Forever; Joy; Thanks; Hi! 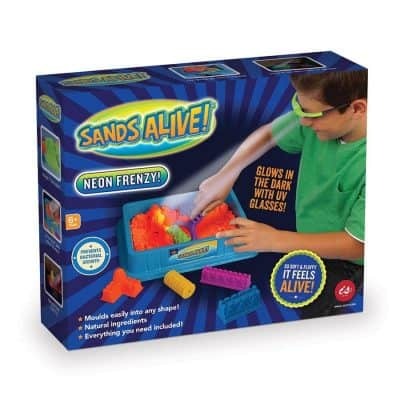 Happy Beans: Happy; Smile; Relax; Joy; Fun. 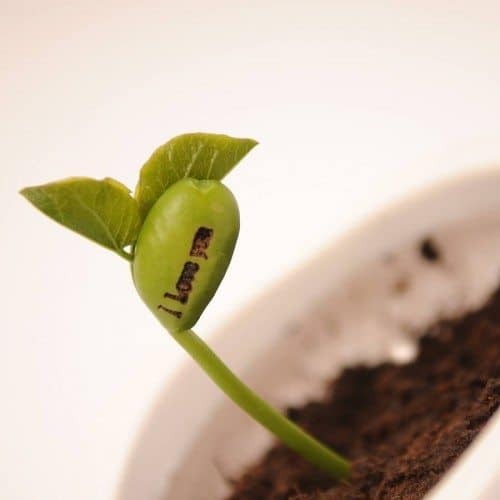 Love Beans: I Love You; Joy; Forever; I Miss You; Only You. 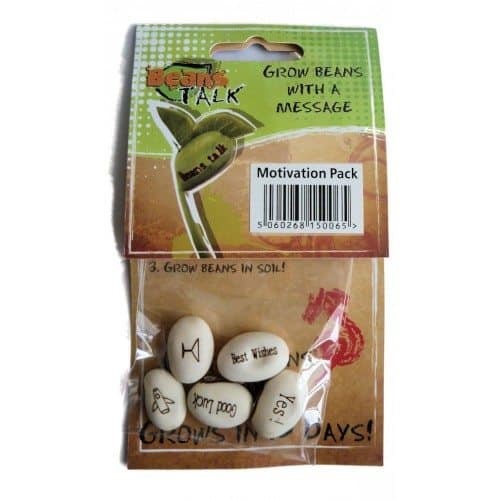 Motivation Beans: Yes! 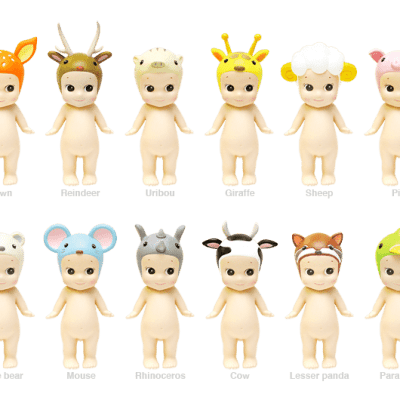 Go!Go!Go! Best Wishes; Congrats; Good Luck. 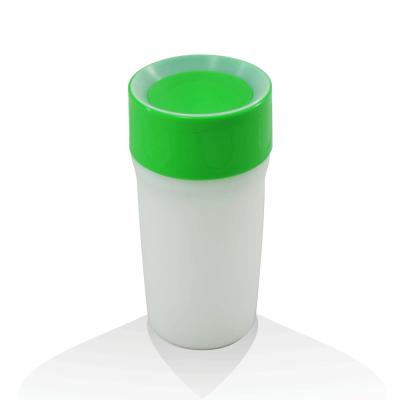 The bean comes from the Green Bean family and its official name is “Canavalia Ensiformis” or if you prefer, a Jack Bean.